My boys enjoy watching Spiderman and Doc McStuffins cartoons. 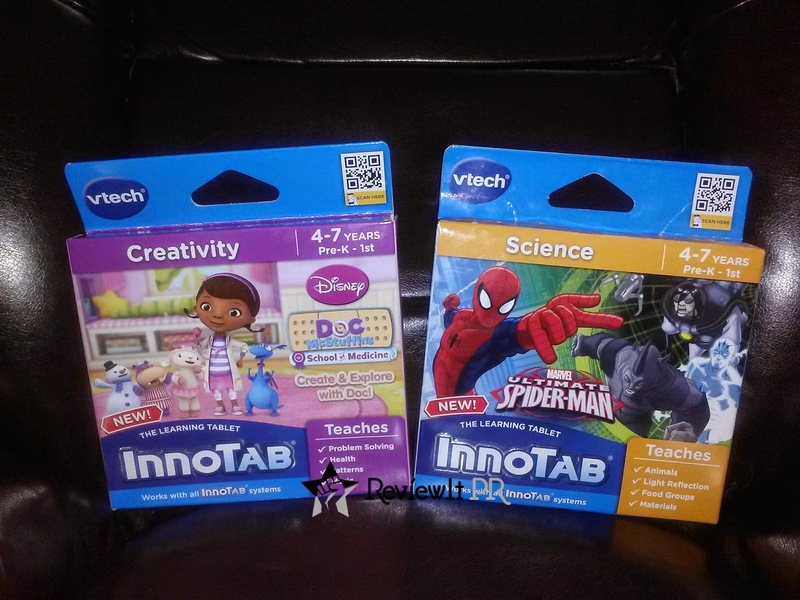 What a better way to get our kids to learn with the VTech InnoTab Ultimate Spider-Man Learning Cartridge and InnoTab Ultimate Doc McStuffins Learning Cartridge. With this InnoTab Ultimate Doc McStuffins Learning Cartridge; our kids are taught reading, health, colors, problem solving, patterns, music, matching and the fun doesn't end with creativity. The VTech InnoTab InnoTab Ultimate Spider-Man Learning Cartridge takes our kids to an adventure to save the day. Our kids learn the food groups, light reflection, weight, commands, logic, number order and more. This learning game will keep our kids brains open to science. Davian was the first of our kids to try the VTech InnoTab Ultimate Spider-Man Learning Cartridge. They we're so fasinated and enjoyed, the animal spelling words and finding the box for each food group. I can download the learning app to track my kids progress on the Learning Lodge. We are happy Davian is learning. He needs to absorb all the information to progress. We recommend the VTech InnoTab Doc McStuffins Create & Learn with Doc! 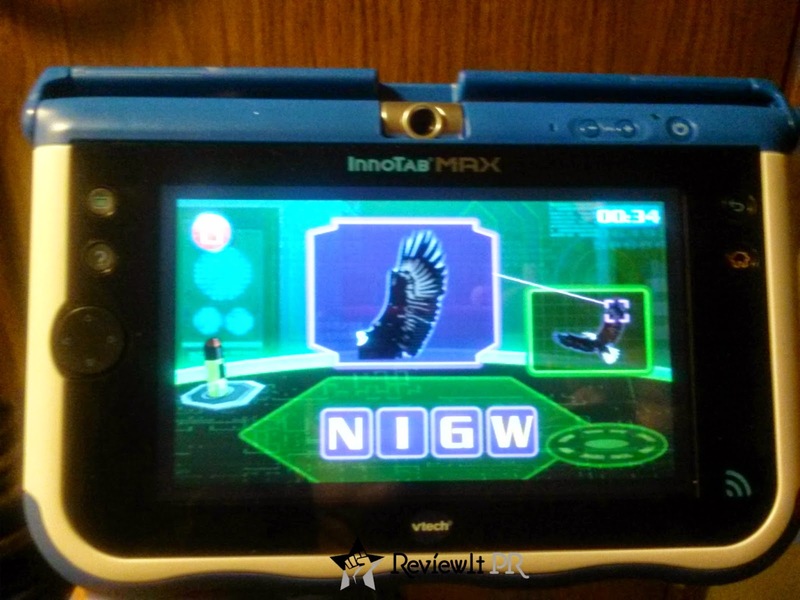 Learning Cartridge and InnoTab Ultimate Spider-Man Learning Cartridge to help on your child's mind open to learning. The cartridges are suitable for a kid ages 4-7 years. The cartridges work with all InnoTab systems. The retail price for the VTech InnoTab Doc McStuffins Create & Learn with Doc! $24.49 and InnoTab Ultimate Spider-Man Learning Cartridge is $24.49. To view or purchase these InnoTab Softwares visit vtechkids.com. · Your friendly neighborhood Spider-Man is now the Ultimate Spider-Man in this title for VTech's InnoTab Learning Tablets! Join him on this ultimate adventure as he takes on three of his greatest enemies. · In Free Play Mode, kids can choose from one of nine fun learning games. In Adventure Mode, kids will play all nine games in order as they follow a central storyline. Navigate the city by swinging through the air or by riding the Spidey-Cycle through the streets. · Games introduce spelling, animals, food groups, light reflection, weight and balance, materials, skip counting, logic and more. Kids can also read the e-Book that tells the story of Spider-Man vs. The Sinister Six. · Join Doc McStuffins and her toy friends as they decorate the backyard in Create & Explore with Doc forVTech’s InnoTab Learning Tablets! · Kids can decorate banners, create costumes and make clay models of favorite characters. They can also play different instruments in a band with Doc’s friends. Along the way help Doc bring sick toys back to perfect health step-by-step. Open Doc’s Big Book of Boo-Boos to see each toy’s diagnosis and accompanying health tip. · Four learning games introduce health, creativity, music, patterns, reading and more! VTech has offered to giveaway a InnoTab Doc McStuffins Create & Learn with Doc! Learning Cartridge and InnoTab Ultimate Spider-Man Learning Cartridge for one of the readers. This giveaway is open to US residents only and 18+ years. Enter the giveaway via Rafflecopter form below. Good luck! Disclaimer: ReviewIt PR was compensated with a gift card and received product samples in-exchange for this review. VTech is responsible for prize giveaway and shipment. We gave our honest experience in this review and is our own. We are disclosing this accordance with Federal Trade Commission's 16 CFR, Part 255: "Guide Concerning the Use of Endorsements and Testimonials in Advertising. My grandson would like to have Spider-Man! My son would love Spider Man. My son would love the Ultimate Spiderman cartridge. id love to win spider man for my son! dI would like the spiderman as my grandson loves them. Oh he would love the InnoTab Ultimate Spider-Man Learning Cartridge!! My little girl would love Doc McStuffins! My youngest daughter loves doc mcstuffins and my oldest daughter loves Spiderman, so either. I'd love the Doc Mcstuffins game for my daughter! I would love to win the Doc Mcstuffins cartridge for my daughter! My daughter would love Doc McStuffins!